Any and all articles for “The Journey” Newsletter are now due on the 20th of each month . We are looking for announcements, upcoming event details, and/or stories of how the church has impacted you or someone else’s life that you know. 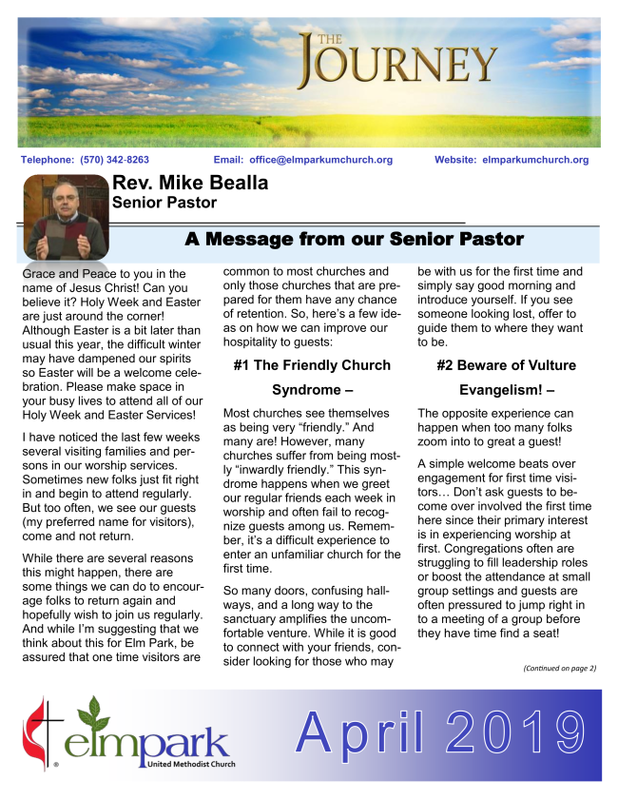 thejourney@elmparkumchurch.org or give them to Marie Priblo in the Main church office. If you have any questions please speak to or email Marie Priblo or Wesley Bealla in the church office. Please make sure to add thejourney@elmparkumchurch.org to your email contacts so future issues of "The Journey" always arrive in your inbox instead of your spam folder!